Miral has unveiled a new identity for its Yas Island destination in Abu Dhabi. The island is home to a variety of attractions including Ferrari World Abu Dhabi, golf courses, a racing circuit, cycling, beach, fine dining and a waterworld. The waterworld features a water slide with giant snake heads at the exit. HE Mohamed Khalifa Al Mubarak, Chairman of Miral, says in a statement, "Through its efforts to develop a world-class leisure and entertainment destination, Miral is playing a key role in supporting the efforts of the Abu Dhabi Vision. Tourism is a significant pillar of the Emirate’s growth and development plans, and the evolution of the Yas Island brand is a natural next step as the destination itself continues to evolve. The way in which Yas Island is being developed ensures that it will continue to be a major proof point for Abu Dhabi as a truly global destination." 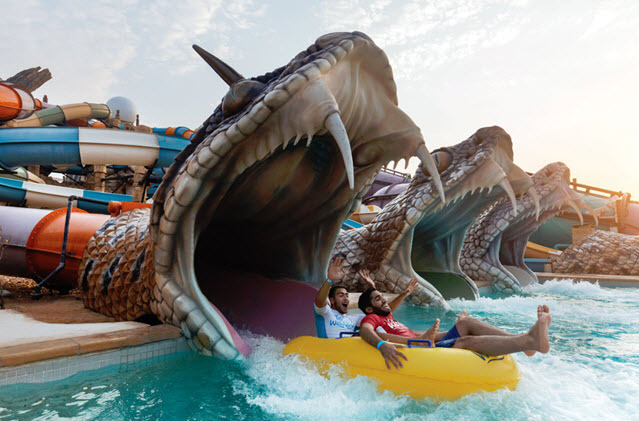 Miral expects Yas Island to become a top ten destination for family fun by 2022 with 48 million visits annually. They expect the island to be home to 10,000 permanent residents with 10,000 commuting to the island daily. The island saw 600,000 visits in summer 2016, a 50% increase in visitors. Copyright © 2002-2019 by Writers Write, Inc. All Rights Reserved.